Your loyalty program comes with a one-click install loyalty widget and tab. What's the loyalty tab for? 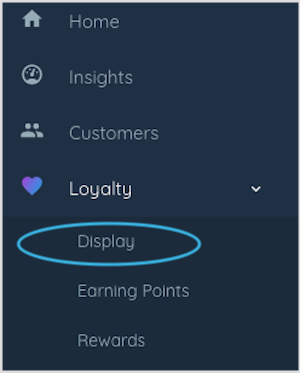 The loyalty tab is designed to give new customers visibility of your loyalty program, to encourage them to buy with you over the competition, and to give your loyalty members a place to view their points balance, see the ways they can earn points, and redeem your rewards. Customers can access your loyalty widget form a tab on your eCommerce site pages. Your loyalty program will now be visible to your customers on your eCommerce store. On your online store, your customers will see your loyalty widget tab. Here, new customers can join and your existing members can log in to check their balance, redeem rewards and see the ways they can earn points. Choose your level of customization in the Display tab in your loyalty app admin. 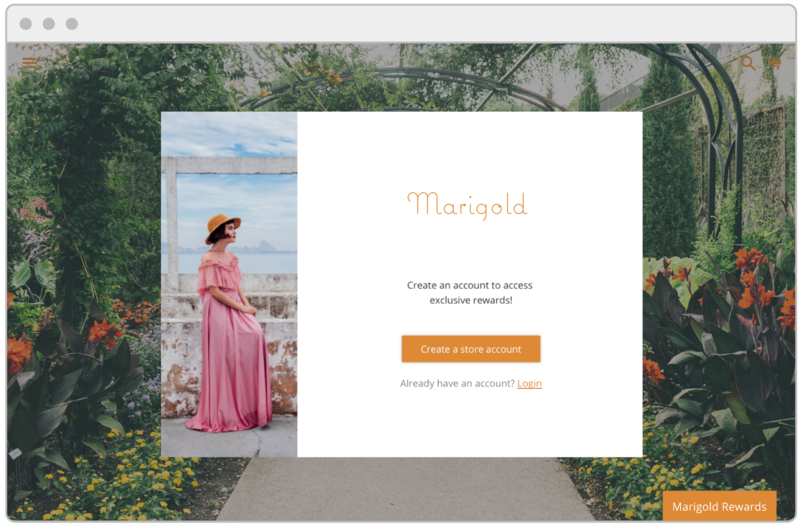 You can customize your loyalty widget with a simple theme color or choose from 5 design layouts, add your logo and a background image and customize your font. You can also customize the placement, color, and font of your tab. You can choose a layout, add your logo, and add image panels using advanced customization.